High blood pressure has become an all too common problem in today’s modern world. Many people just accept it as a fact of life. Like any circulatory system, when the pathways are clean and smooth, the flow is normal and pressures are normal. If the pathways (be they pipes, hoses, or blood vessels) become congested, flows are restricted and pressure rises. In the human body, the cardio-vascular system functions best when the blood vessels are clean and smooth on the inside. However, our stressful, modern lifestyles are becoming more sedentary and diets less nutritious than they should be. Over time, vessels can accumulate materials that start to clog these vital pathways that our vital organs need to maintain our bodies. Cholesterol, particularly LDL (the bad cholesterol: low-density lipoproteins), is the primary culprit producing high blood pressure and all of its associated health risks: heart disease, stroke, aneurysm, kidney disease, and more. There are many factors that contribute to high blood pressure (also known as hypertension) such as genetic abnormalities, genetic heritage, gender, age, diabetes, deficiencies in iodine or vitamin B6, tobacco usage, and obesity. Chief among these is also an overabundance of the bad cholesterol, LDL. Cholesterol is produced naturally in the body and it is in many foods. It is actually vitally important to good health. However, when natural levels are increased, and the ratio between good cholesterol (high-density lipoproteins: HDL) which actually aids and improves health, and the bad cholesterol (LDL) becomes out of balance, it can have serious health effects that might not become apparent for years of even decades. That is why it is important to be aware of cholesterol levels and control them if they are outside of healthy perimeters. Statins are a class of cholesterol lowering drugs that work in the liver (which produces cholesterol for the body) to inhibit an enzyme which plays a central role in the production of cholesterol. 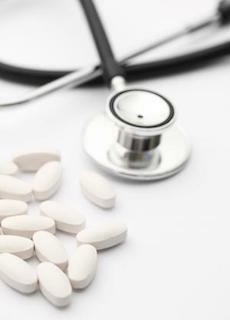 There are many different statins that perform this function in different ways. They are very helpful for people who can’t seem to lower their cholesterol levels through dietary and lifestyle changes. However, they are not without side effects and risks. It is generally accepted that statin use for patients that are at high risk of heart attack or other hypertension related conditions is justified, in that the benefits outweigh the risks. That being said, in recent decades the pharmaceutical industry has pushed statins privately and publically to physicians and patients as a quick fix, easy remedy for high blood pressure due to high levels of cholesterol. As a profit driven industry, those companies are motivated to encourage the use of their products often at the expense of proper health care for patients with a very serious condition. The entire medical industry is influenced by the power of the pharmaceutical corporate giants and this can adversely affect the medical care that the general public receives. The public has also been influenced by corporate advertising to demand miracle cures and quick fixes for their problems rather than prudent, albeit, more difficult to follow medical advice. All of this has led to a marked increase in the prescriptions of statins for hypertension and cholesterol control. The dangers associated with statins are significant and wise patients will educate themselves and ask many questions before accepting a doctor’s advice to start taking statins. The best way to avoid the problems with hypertension and statin usage is to stay healthy in the first place. This means reversing any unhealthy cardio-vascular trends that you might have going, or adopting a healthy lifestyle before any such trend develops. The best way to control hypertension and cholesterol: regular exercise and proper diet. No surprise there. Exercise doesn’t have to be difficult. Even walking vigorously for as little as 30 minutes a day, 5 times a week can make tremendous improvements in overall health. Of course, a more rigorous exercise program designed to meet your particular needs will be even more helpful. Let the professionals at Hinterland Chiropractic help you determine exactly what your exercise and dietary needs are. They can design an exercise and dietary plan custom made for your blood pressure and cholesterol conditions to get you on a path towards good health without the use of statins or other unnecessary medications. See us today and receive a COMPLETE Consultation and Examination. Yours for ONLY $45! Contact us on 07 5527 3133 or simply book your appointment online. Live healthy, live well, with Hinterland Chiropractic: more than just your local chiropractor.